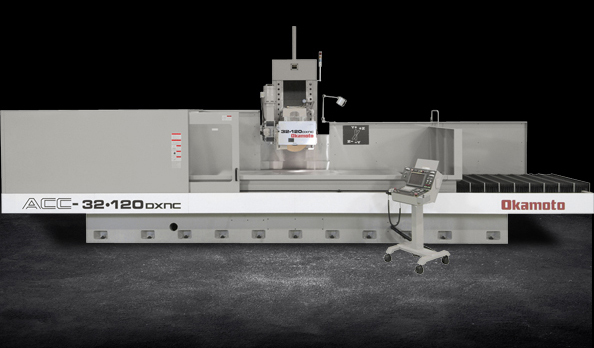 ACC-DXNC column type grinders are specifically designed and built for high precision 2-axis simultaneous grinding of large components. Rigid design and construction, powerful software capabilities and long-term reliability makes them the preferred choice for high-accuracy and high production grinding applications. Heavy-Duty design and construction features fully supported table and high rigidity traveling column. Vee and Flat table ways assure true tracking and greater table load support.User-friendly conversational programming. Choice of versatile grinding patterns - choose plunge, bias feed or step feed - then select one of 6 versatile grinding patterns. 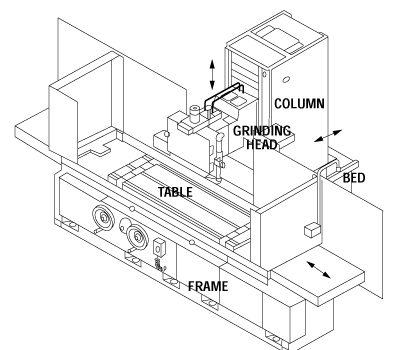 High-accuracy flat and form grinding with programmable dressing and dress compensation. Input increments as fine as 0.00001".